Alice, Hilda and Elsie are stationed only kilometers from the front with the possibility of death edging ever closer, and the war seeming like it will never end. 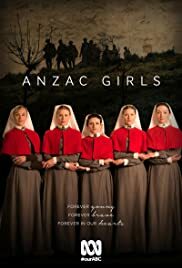 Overcoming intense hardship on the Greek island of Lemnos, Olive and Grace care for the injured troops from the botched August Offensive while Elsie fights to nurse her wounded husband Syd. Perhaps the best bit of this is the premise, it's telling the story of WWI from an unfamiliar angle, certainly to British eyes. And there are some good moments, a great scene where they are being bombed at night, the chaos of a ward when a new batch of casualties come from the front, the hardships of trying to set up a new hospital in the early stages of the campaign, the VD class, the increasing responsibilities thrust on the nurses. Conversely there are some fails - there are still trees standing on the site of a recent battle, when they would have been shelled to splinters. The main problem is that it comes across as very episodic - meet new soldier, talk, then he dies/falls in love - and as a result it just doesn't quite hang together as a story. I think the editing is probably the biggest problem, perhaps an extra episode or two could have given them the time to deal with the post-Gallipoli story in the same depth as the Dardanelles campaign, which would have helped. 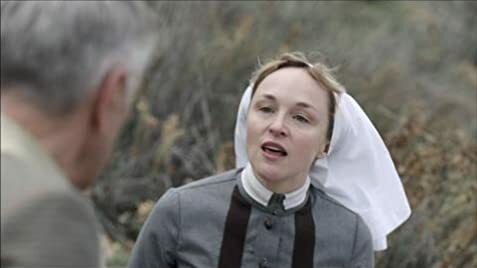 Obviously the script is a bit constrained by trying to stick to history, but they could have eg had more of the matron's story which was hinted at but not really developed. She wasn't as pretty as the nurses so gets less screen time, but perhaps would have been a better way of addressing some of the big themes. The main cast do an OK job but there's a bit too much "now look sad" that never quite convinces. Some of the supporting men put in good performances, particularly Brandon McClelland. Overall it's OK, I almost gave up after the first 20 minutes but it was just about worth sticking with. But I'd prefer something like Our Girl if you're looking for a story of women in the military with a better narrative to hold it all together.